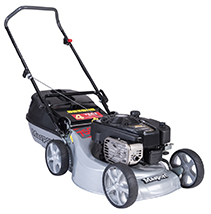 A larger commercial 190cc engine for the heavier lawns. Suits larger properties or those with particularly thick and lush grass. This mower also offers the mulching feature. This model has a 4 year conditional extended Warranty and a 2 year commercial engine warranty.